Everything that has happened since Obama signed the NDAA and made American Citizens the targets of his self-declared FREE-FIRE zone inside the United States—has merely been a national and global series of distractions, to keep this criminal-takeover secret from the people of the USA. What has been happening here has been nothing less than the Israeli-coverup for the Israeli-invasion of the United States that is been orchestrated by Israel, but which is no longer secret. The research, contained in The West Wing, clearly presents the current Israeli position to the world, in their own words. It’s available on Netflicks. There are two hours of The West Wing, in Season 6; episode 1, NSF Thurmont and 2 The Birnam Wood, where you can see Israel’s version of history for yourself. This pertains to everything that has led to the outright capture of the Disunited States, on the global stage. 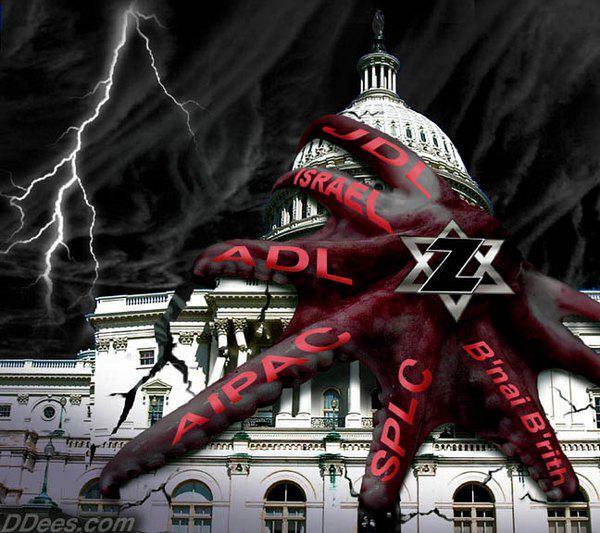 The United States has been exposed since 1948, through what many thought was a ‘legal-creation’ of the Jewish State. This political-exposure to the Israeli-poison of our lives has led us from being “protectors of Israel” to being completely occupied by Israel. Israel has attacked our government, our religions, our customs, even our thoughts. Our police and military are now being trained by Israeli forces, our congress, our courts and the White House are now wholly owned servants of the illegal-state of Israel: Americans themselves have now been labeled as Enemies of the State, in which we have always been the targets of the Israeli War Machine, inside what was once our own country. If this does not enflame you, and everyone you know, to charge these traitors throughout the American-society with TREASON against America—then you must be brain-dead! The false-flag-DRILLS that have accompanied so many of the major attacks upon America, since the Clinton Years, have come directly from Israel, in the guise of “helping Americans” to protect themselves from terrorism. The truth is that these security-DRILLS themselves should be outlawed—because they prove conclusively that the US government is incapable of protecting anyone. These continuing failures of the so-called security-drills also proves that since the government continues to hold simultaneous attacks upon America with these fake-drills that target the exact same situations which are carried out simultaneously, in each of these government-orchestrated attacks upon American citizens and this nation—which Israel uses to utterly-destroy everything that matters to an Open-Society or to a world free from the global-paranoia on which Israel has been feeding since before the First World War. The paranoia is well founded. Israel has no other allies besides us; because she has alienated everyone else on the planet since the days of ancient Carthage—America is the last sucker standing and now Israel is cannibalizing what’s left of America while she continues to eat America-and Americans’ alive! Israel’s habits have devoured every last shred of what America once understood to be needed in the wider world. Here are some of the little focused on facts that form parts of the heritage of the Criminal-Outlaw-State of Israel. These facts are part of the keys to understanding the Israel-dialogue in The West Wing, which was a psy-op film created to finish brainwashing the American public about Israel and the Middle East. The series gives a one-sided view as seen through the twisted lenses of this parasitic-monster that has been responsible for wrecking the world, almost single-handedly—but with the full cooperation of USI and Israel’s nuclear blackmail of so many other states that it literally-staggers the mind. Israel claims they are “The only true Democracy in the Middle-East”. In reality Israel is an Apartheid-state that has outlawed all others, except the Zionista’s and the Jews from having any rights inside Israel. Israel created the myth that “for Centuries the Middle-East has been at the core of ages old animosities—in which the Jews were always the defenseless-victims. The truth is that as each nation that befriended the Jews has learned: Their generosity in assisting the Jews will be met with the extermination of all their own people—something that America is now about to learn first hand. “America” is so important to Israel, because we are the only nation that has not yet chosen to throw the Jews out—totally! Once Americans come to understand what Israel is doing to every man woman and child in America—all that might soon change to an American national-outrage against Israel, and to a total re-arrangement of the power-grid: Not just in the Middle-East! On the gun-grab there is a dirty-little-secret that somehow never gets mentioned. In Israel every adult has to serve in the Israeli military—weapons and guns are a national way of life in Israel, because Israeli’s are paranoid beyond-belief when it comes to self-defense: Yet in America the gun-grab against the Second Amendment is being driven by Israeli’s inside our governments that are demanding the total disarmament of all Americans, from cities and towns and statehouses and legislatures through the congress and the White House! You might want to think about that when next you hear how Americans MUST be DISARMED? All talk of disarmament of the Americans is coming directly from the occupying armies of the Jews that have already stolen this country. Now they want to insure that they will not have to fight Armed-Americans when they make their final move to begin killing us in our beds. 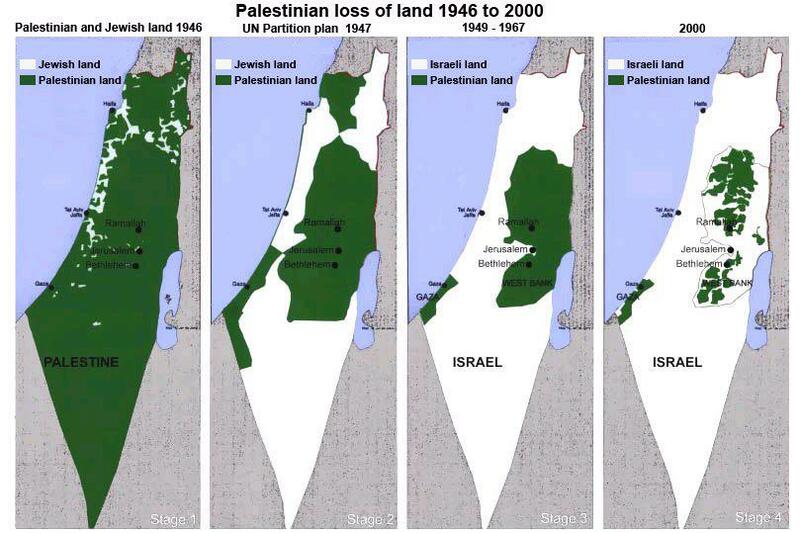 The sanctity of the State of Israel, versus the Palestinians who lived there for centuries before the Jews created the Balfour Declaration to steal Palestine for the Jews. Here’s the demographic of the state of Israel from 1946 to 2000 ­ bear this in-mind when you hear Israel deny the right of any-return for Palestinians while they simultaneously made room for a million Russian Jews. Israel is a global-problem, and we are protecting “IT” from facing real consequences for their crimes. Israel has provided the world a total-distortion of history in the Middle-East and the world. This was made far easier for them by the slaughter of some real Jews, by some of the Zionist-Jews that made up a third of the Nazi SS in the Third Reich. The number of people that died in the Nazi camps had to be downsized on the plaques those camps display that no longer reflects anything like “6 million dead Jews” but that myth was absolutely essential to creating the concept of International-Jews as the only real victims in WWII. Had this been true how to explain how Israel could have exceeded the inhumane-treatment they supposedly suffered at the hands of the Nazis ­ by what they have done and continue to do to everyone and anyone that has challenged Israel, since the end of WWII? Afterwards Israel used nuclear-blackmail and the death of JFK, to force other-nations to accept the hostility of their terms worldwide. In the case of the USA, Israel bombed the USS Liberty that was covered up by LBJ and by McCain’s father, during the 1967 War for the supremacy of Israel. Throughout her tentative “history” and Israel’s prelude to acquiring the dubious nature of their claims within the community of nations—Israel has always lied and distorted every fact that has been blocked by Israeli Zionists, whatever they have claimed, on any front. If Israel is so correct in all her bogus-charges why does she have no other allies besides USI? And ASK YOURSELF WHAT THE HELL HAS ISRAEL EVER DONE FOR US, BESIDES MURDERING OUR SOLDIERS AND SELLING OUT THE PEACE OF THE ENTIRE PLANET? And a new beginning for the free world ­ think about it!